Meet the team behind the Ra-Ikane River Cruise fleet! From our professional and knowledgeable boat captains to our dynamic Tours Manager, we all look forward to welcoming you aboard the Ra-Ikane. Whether it be for a breakfast, lunch, sunset or bird-watching cruise on the Zambezi River, you can rest assured our team will make it a memorable journey for you. Jane has been with the company for 19 years and is a true asset. She is dynamic and innovative, not to mention cheerful and meticulous! She holds a diploma in tourism and began her career as a shop assistant; she is now in charge of the Zambezi Wilderness Safaris. She is so incredibly knowledgeable about all the activities in Victoria Falls and does everything possible to make sure the clients are happy and have a memorable stay. Captain Ernest has been with us for a year and holds a Captain’s License as well as a Tour Guide’s License. He is extremely articulate and knows his birdlife and wildlife inside out. He has nine solid years of experience driving boats and truly enjoys taking guests along the Zambezi and imparting his knowledge. Captain Abel came on board with us one year ago and brought with him his vast experience as a guide and a captain. He has an expansive knowledge of birds and wildlife and enjoys guiding the early morning cruises. He has nine years of experience driving a boat and goes the extra mile for all the guests and sings during cruises when clients have a special occasion like birthdays and anniversaries. This enthusiastic captain began his career 20 years ago with the Crocodile Nature Sanctuary as a driver, and has been with the company for 20 years. He moved up to Captain in just three years and holds a Tour Guide license as well. Captain Elias recently received a Long Service Award. 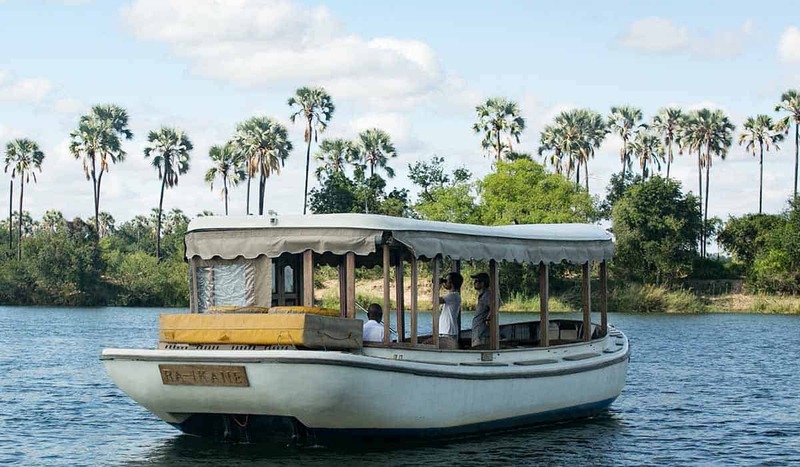 He has a sharp eye for spotting wildlife and a wealth of knowledge about the Zambezi River, and goes out of his way to ensure that the clients enjoy their cruise.